In pictures: Bulgaria's Orthodox Church on Sunday elected metropolitan Neofit of the northern city of Ruse as its new leader after Patriarch Maxim died last November aged 98. He led the church for more than 40 years. 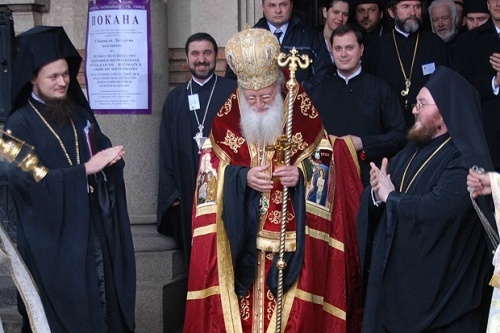 Bulgaria's Orthodox Church on Sunday elected metropolitan Neofit of the northern city of Ruse as its new leader after Patriarch Maxim died last November aged 98. He led the church for more than 40 years.